It was also the focal point of a workshop called House of the Moon during Bonjour India, the French festival in India, in 2017, for which students of design from India and France cocreated and collaborated to develop an intervention in Chandernagore. But he insisted that the day’s exercise was not just about restoring history. “It’s about what you can do with heritage while looking at the future. It is much more than architecture, for our vision involves economic revitalisation of the town. We will be working on giving ownership to the whole community by working with students and children, (From left) French ambassador Alexandre Ziegler; consul general Virginie Corteval; Shuvaprasanna, chairman, West Bengal Heritage Commission; and Fabrice Plancon, director, Alliance Francaise du Bengale at Sacred Heart Church on Wednesday Ziegler unveils the plaque declaring the Registry Office a heritage structure, and (right) the heritage structure plaque at Chandernagore College. 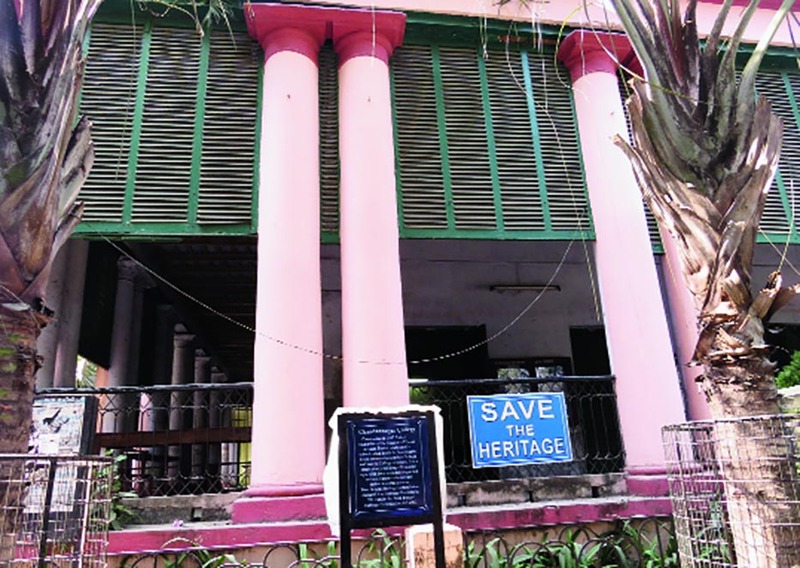 Pictures by Sudeshna Banerjee and making Chandernagore the focal point of our common history and bilateral relations.” The other two buildings where plaques were unveiled are Chandernagore College and Sacred Heart Church. A team of technical experts will visit Chandernagore “by the summer” to help with the restoration, the ambassador said..